There are all kinds of ways to save money, even when dealing with something as complex and often expensive as moving. However, not all money-saving methods are worth the hassle! If you’re looking for some great ways to save money without losing your sanity in the process, then you’ll be glad to discover these professional tips. 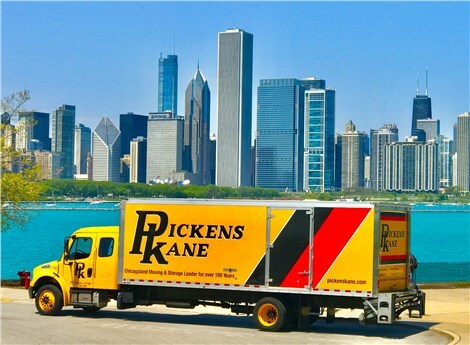 Pickens Kane is a Chicago moving company that has provided professional and affordable service since 1914! Over the many years, we have amassed an impressive understanding of the moving & storage business, and we are more than happy to pass our wisdom onto our customers. Movers are in highest demand from June through September, making it more difficult to find a quality company without spending a fortune. For the most competitive rates without sacrificing the service you deserve, try to conduct your move during off-season. You will also enjoy a smoother ride along the way, because traffic can be a nightmare during summer months! The cost of your move is greatly affected by the number of items you are taking with you. The more you have, the more packing and loading there is to do, and your cost can also increase depending on the weight of the moving van. Save some money by getting rid of things you do not need like ill-fit clothing, duplicate items, and broken appliances and furniture. For some movers, using your own boxes is frowned upon. There is nothing wrong with using your own boxes, so long as they are not damaged or flimsy. Purchasing moving boxes can cost a lot of money, so for your non-fragile items it is best to ask a friend or hit up your local grocery store. Most stores are more than happy to let you take old boxes off their hands. Hire the right moving & storage company. Not all moving companies are the same. Although you want the best value for your money, be aware of so-called bargain movers. Make sure the moving company you choose is BBB-accredited, experienced, and employs licensed and insured movers that are fully-screened. You can also check for customer reviews to learn what other are saying. When you need a Chicago moving company that will treat you right without costing you a fortune, go with Pickens Kane! We work hard to provide the most hassle-free experience possible while ensuring your move is safe, timely, and affordable. To learn more about our long distance moving services and more, give us a call today or get started with a free, no-obligation moving estimate now!